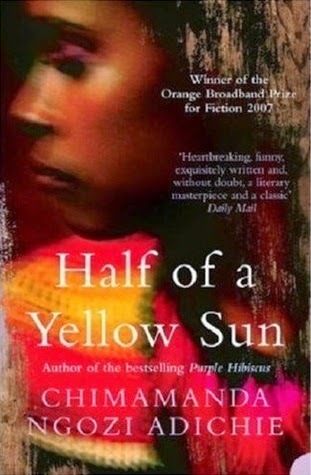 Today's first comparison is Half of a Yellow Sun. 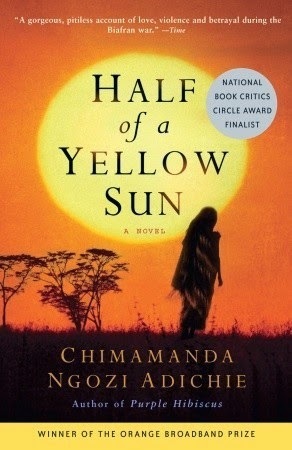 The US cover shows a full yellow sun with a silhouette of a woman walking in a field. The UK cover shows the side profile of a woman's face with yellow and pink accent colors. 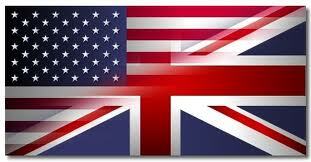 No question which book would grab my attention from a book shelf first: UK! 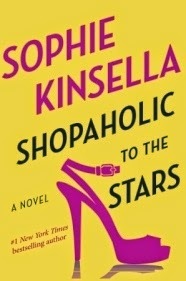 The second comparison is Shopaholic to the Stars. 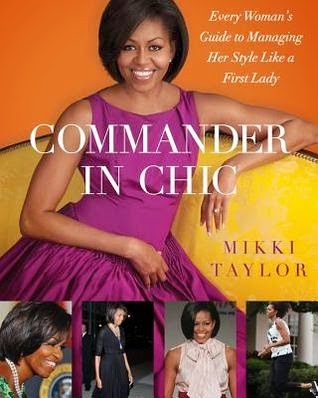 The US cover is very plain with just a yellow background, block lettering and a pink high heel. 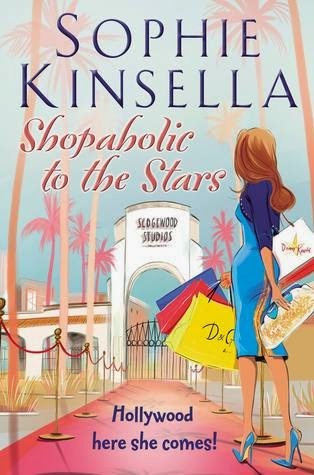 The UK cover is more chick lit and Becky Bloomwood-y with a woman holding shopping bags walking in Hollywood. The UK cover matches the title perfectly. I know a book has touched me when it takes weeks to sort through my thoughts and write a coherent review. 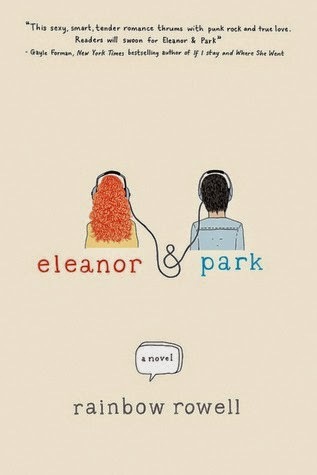 Bookheart Vern and I buddy-read Eleanor & Park late last month after a recommendation from another bookheart Heather. I am still googly-eyed at the love story. STILL. This is the love story of two misfits. Eleanor is a redhead that is often teased by classmates. Park is a 16-year-old kid that reads comics books and has good taste in music. Neither teen is popular but over the course of a school year, they form a bond. Reading, laughing, talking, listening and helping each other through young life. They really were the best thing to ever happen to each other. Eleanor & Park is so touching. It will remind you of first love. It will make you stay up hours reading. The two characters will occupy your mind long after the last words are read. In fact, I wanted to re-read the book immediately after finishing. Again, it has been a couple weeks and I am still thinking about them. We have all heard the persuasive prescription pills commercials that list symptoms we swear we have. We find ourselves nodding yes to all of the questions. Then ignore the rambling of side effects, self-diagnosing ourselves and convinced we have an issue all because of this late-night commercial. When Allison Weiss takes a magazine quiz while waiting in the pediatrician's office, she wonders whether she is addicted to prescription pills. Is popping a Percocet or Vicodin so wrong if the doctor prescribed it? If it helps sooth after a long day? If a pill temporarily lets you escape a distant husband, a daughter who is acting out, a father with early Alzheimer's and a barely-coping mother? Hmmm. All Fall Down is about a woman's struggle with addiction, acceptance and rehab. It has tender moments that made me want to reach out and hug Allison. There are also comedic moments where I couldn't help but laugh. I may joke around and call Nurse Jackie my "pill-popping soulmate" but Allison is a character that earned a spot in my head too. All Fall Down was more than just another fiction book. It was a look down the rabbit hole of someone else's eyes. I have read all of Jennifer Weiner's books. Some are better than others, but all are worth reading. There is a reason she is a #1 New York Times bestselling author of ten novels. The topics are realistic, modern and mature. All Fall Down fits right in with the rest of your work and is worth reading. Be sure to follow Jennifer Weiner on Twitter as well. She is one of my favorite author tweeters. She has a sense of humor, offers good writing advice, watches reality TV right along with us, and still finds time to pen novels for readers and chick-lit lovers to enjoy. Bookhearts, I recommend this triumphant story. 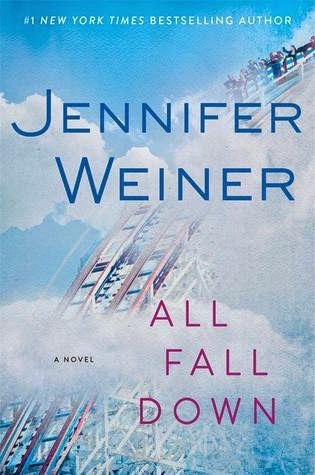 All Fall Down was recently published on June 17. Order your copy! 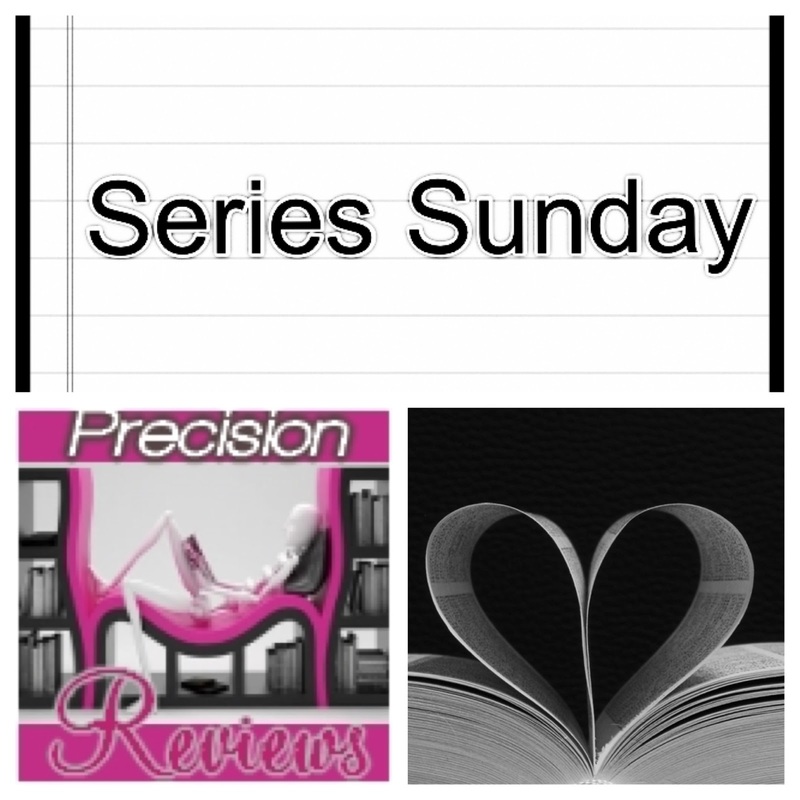 My Series Sunday pick is the entire Fear Street series by R.L. Stine. *Throwback Edition* The bestselling YA series started in 1989 with The New Girl. There were spin-offs including Fear Street Saga, Fear Street Cheerleaders, and Fear Street Seniors. Millions of the Fear Street books have been sold. Listen. I started reading Fear Street when they were first released. I was in middle school and stanned all the way out when a new book was published. I would devour the new Fear Street book, sometimes figuring out the mystery before the last chapter. I was so familiar with the happenings of Shadyside High. Chickadee read them along with me. Fear Street was my first experience with mystery/suspense/horror. R.L. 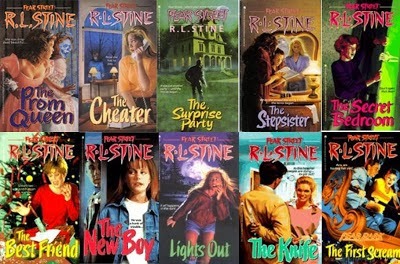 Stine wrote over 80 Fear Street books and I read majority. I recently saw a post from one of my bookhearts (The Nappy Bookish Babe) that inspired me to read one of these books now as an adult. I wonder if it will be intriguing or seem juvenile. Either way it will bring back memories of when I first fell in love with series and the mystery genre. 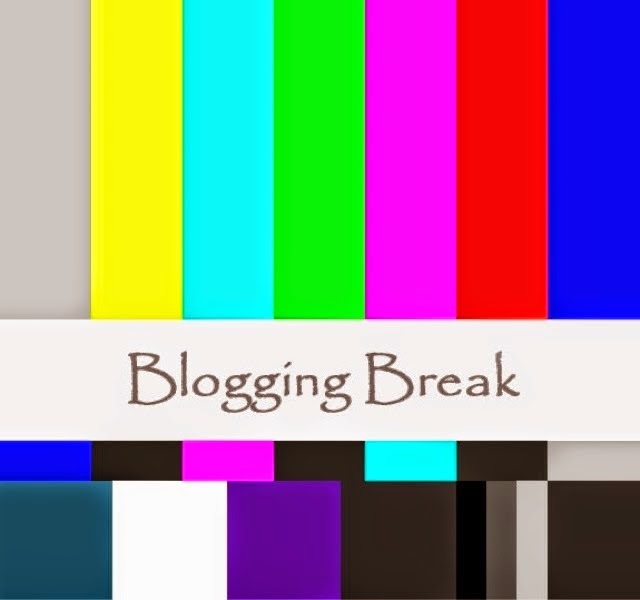 Stay tuned for my review.